For the metropolitan area made up by the population centers of Los Angeles and Orange Counties (a smaller geographic region), see Los Angeles metropolitan area. Greater Los Angeles is the second-largest urban region in the United States, encompassing five counties in southern California, extending from Ventura County in the west to San Bernardino County and Riverside County on the east, with Los Angeles County in the center and Orange County to the southeast. It consists of three metropolitan areas in Southern California; the Los Angeles metropolitan area, the Inland Empire, and the Ventura/Oxnard metropolitan area (Ventura County). Throughout the 20th century, it was one of the fastest-growing regions in the United States, although growth has slowed since 2000. As of the 2010 U.S. Census, the Los Angeles Metropolitan Statistical Area had a population of nearly 13 million residents. Meanwhile, the larger metropolitan region's population at the 2010 census was estimated to be over 17.8 million residents, and a 2015 estimate reported a population of about 18.7 million. Either definition makes it the second largest metropolitan region in the country, behind the New York metropolitan area, as well as one of the largest urban agglomerations in the world. The agglomeration of the urbanized Greater Los Angeles area surrounds the urban core of Los Angeles County. The regional term is defined to refer to the more-or-less continuously urbanized area stretching from Ventura County to the southern border of Orange County and from the Pacific Ocean to the Coachella Valley in the Inland Empire. The US Census Bureau defines the Los Angeles-Long Beach, CA Combined Statistical Area as including the entire Los Angeles County, Ventura County, Orange County and the two counties of the Inland Empire. However, this Census definition includes large, sparsely populated and primarily desert swaths of Los Angeles, San Bernardino and Riverside counties that are not part of the urbanized region. The term "Greater Los Angeles" does not include San Diego County, whose urbanized area is separated from San Clemente, the southernmost contiguous urbanized area south of Los Angeles, by a 16.4-mile (26.4 km) stretch of the Marine Corps Base Camp Pendleton. According to the U.S. Census Bureau, the Los Angeles metropolitan area has a total area of 4,850 square miles (12,561 km2), while the wider combined statistical area covers 33,954 square miles (87,940 km2), making it the largest metropolitan region in the United States by land area. However, more than half of this area lies in the sparsely populated eastern areas of Riverside and San Bernardino counties. In addition to being the nexus of the world's largest entertainment industry, Greater Los Angeles is also a global center of business, international trade, education, media, fashion, tourism, science and technology, sports, and transportation. The Los Angeles Basin, viewed south from Mulholland Drive. From left to right can be seen the Santa Ana Mountains / Saddleback (horizon), downtown L.A., the Hollywood Bowl (foreground), Mid-Wilshire, Long Beach – Palos Verdes (background), Catalina Island (horizon), the Southbay and Pacific Ocean. Los Angeles has a long-standing reputation for sprawl. The area is in fact sprawling, but according to the 2000 census, the "Los Angeles-Long Beach-Anaheim" Urbanized Area (but not counting the portions of the Inland Empire in the Greater Los Angeles Area) had a population density of 7,068 inhabitants per square mile (2,729/km2), covering 1,668 square miles (4,320 km2) of land area, making it the most densely populated Urbanized Area (as defined by the United States Census Bureau) in the United States. For comparison, the "New York–Newark" Urbanized Area as a whole had a population density of 5,309 per square mile (2,050/km2), covering 3,353 square miles (8,684 km2) of land area. Los Angeles' sprawl may originate in the region's decentralized structure. Its major commercial, financial, and cultural institutions are geographically dispersed rather than being concentrated in a single downtown or central area. Also, the population density of Los Angeles proper is low (approximately 8,100 people per square mile) when compared to some other large American cities such as New York (27,500), San Francisco (17,000), Boston (13,300), and Chicago (11,800). Densities are particularly high within a 5-mile radius of downtown, where some neighborhoods exceed 20,000 people per square mile. What gives the entire Los Angeles metro region a high density is the fact that many of the city's suburbs and satellites cities have high density rates. Within its urbanized areas, Los Angeles is noted for having small lot sizes and low-rise buildings. Buildings in the area are low when compared to other large cities, mainly due to zoning regulations. Los Angeles became a major city just as the Pacific Electric Railway spread population to smaller cities much as interurbans did in East Coast cities. In the first decades of the twentieth century, the area was marked by a network of fairly dense but separate cities linked by rail. The ascendance of the automobile helped fill in the gaps between these commuter towns with lower-density settlements. 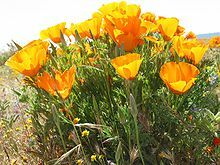 Starting in the early twentieth century, there was a large growth in population on the western edges of the city moving to the San Fernando Valley and out into the Conejo Valley in eastern Ventura County. Many working class whites migrated to this area during the 1960s and 1970s out of East and Central Los Angeles. As a result, there was a large growth in population into the Conejo Valley and into Ventura County through the US 101 corridor. Making the US 101 a full freeway in the 1960s and expansions that followed helped make commuting to Los Angeles easier and opened the way for development westward. Development in Ventura County and along the US 101 corridor remains controversial, with open-space advocates battling those who feel business development is necessary to economic growth. Although the area still has abundant amount of open space and land, almost all of it was put aside and mandated never to be developed as part of the master plan of each city. Because of this, the area which was once a relatively inexpensive area to buy real estate, saw rising real estate prices well into the 2000s (decade). Median home prices in the Conejo Valley for instance, ranged from $700,000 to $2.2 million in 2003. According to Forbes, "it's nearly impossible" to find reasonably priced real estate in California, and the prices will continue to increase. The Los Angeles area continues to grow, principally on the periphery where new, cheaper, undeveloped areas are being sought. As such, in these areas, populations as well as housing prices exploded, although the housing bubble popped late in the decade of the 2000s (decade). Riverside and San Bernardino Counties, which contain large swaths of desert, attracted most of the population increase between 2000 and 2006. Growth continues not only outside the existing urbanized area but also adjacent to existing development in the central areas. As in virtually all US core cities, there is now vigorous residential development in the downtown area with both new buildings and renovation of former office buildings. The Los Angeles Downtown News keeps a list of ongoing development projects, updated every quarter. The term "Greater Los Angeles" can be used to denote the metropolitan area or the consolidated area. Employment is not only in the downtown area, but consistently occurs outside the central core. As such, many people commute throughout the city and suburbs in various directions for their work and daily activities, with a large portion heading to the municipalities that are outside the city of Los Angeles. Unlike most metropolitan areas, regional identity remains a contentious issue in the Greater Los Angeles area, with many residents not acknowledging any association with the region as a whole. For example, while Los Angeles County and Orange County together make up the smaller MSA region, the two have a host of sharp demographic, political, and financial distinctions. Orange County residents often attempt to be identified apart from Los Angeles although they make up the same metropolitan area. And while only 1.63% of Los Angeles residents commute to Orange County for work, over 6% of Orange County commuters head to Los Angeles for work. Western Riverside County and San Bernardino County have become commuter regions characteristic of other suburban counties throughout the nation. Residents in these counties often commute to Los Angeles County and Orange County for employment. With a population of 3.8 million people as of the 2010 Census, Los Angeles is the second most populous city in the United States after New York City, and is the focal point of the Greater Los Angeles Area. As an international center for finance, entertainment, media, culture, education, tourism, and science, Los Angeles is considered one of the world's most powerful and influential global cities. As with some municipalities and areas in the metropolitan region, areas in Los Angeles proper can be defined as being bounded by natural features such as mountains or the ocean; others are marked by city boundaries, freeways, or other constructed landmarks. For example, Downtown Los Angeles is the area of Los Angeles roughly enclosed by three freeways and one river: the Harbor Freeway (SR 110) to the west, the Santa Ana Freeway (US 101) to the north, the Los Angeles River to the east, and the Santa Monica Freeway (I-10) to the south. Meanwhile, the San Fernando Valley ("The Valley") is defined as the basin consisting of the part of Los Angeles and its suburbs that lie north-northwest of downtown and is ringed by mountains. Other areas of the city of Los Angeles include South Los Angeles (formerly known officially as South Central L.A.), the Westside, Harbor Area, East Los Angeles, Greater Hollywood, and Wilshire. Los Angeles County, of which Los Angeles is the county seat, is the most populous county in the United States and is home to over a quarter of all California residents. The large size of the city of Los Angeles, as well as its history of annexing smaller towns, has made city boundaries in the central area of Los Angeles County quite complicated. 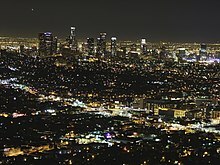 Many cities are completely surrounded by the city of Los Angeles and are often included in the city's areas despite being independent municipalities. For example, Santa Monica and Beverly Hills (which is completely surrounded by Los Angeles) are considered part of the Westside, while Hawthorne and Inglewood are considered associated with South L.A. Adjacent areas that are outside the actual city boundaries of incorporated Los Angeles but border the city itself, include the Santa Clarita Valley, the San Gabriel Valley, South Bay, and the Gateway Cities. Despite the large footprint of the city of Los Angeles, a majority of the land area within Los Angeles County is unincorporated and under the primary jurisdiction of Los Angeles County. Much of this land, however, cannot be easily developed due to planning challenges presented by geographic features such as the Santa Monica Mountains, the San Gabriel Mountains range, and the Mojave Desert. Actual land development in these regions occurs on the fringes of incorporated cities, some of which have been fully developed, such as the suburbs of Palmdale and Lancaster. Orange County, together with Los Angeles County, is part of the Los Angeles metropolitan area, the inner core of the Greater Los Angeles region. The county is mostly suburban, with no defined urban center. Originally a primarily agricultural area dependent on citrus crops, avocados, and oil extraction, Orange County became a bedroom community for Los Angeles upon the completion of numerous freeways linking it to the city, most notably Interstate 5. The growth of Los Angeles initially fueled population growth in Orange County, but the establishment of the tourism industry allowed it to become an important economic center as well. Today, Orange County is known for its tourist attractions, such as Disneyland, Knott's Berry Farm, and its several pristine beaches and coastline. Some larger cities in the county, such as Anaheim and Irvine, have evolved to become centers of business and cultural attractions. Orange County is sometimes figuratively divided into "North County" and "South County" by California State Route 55 (Costa Mesa Freeway). While North County, which includes cities such as Anaheim, Fullerton, and Santa Ana, is the older, more diverse and urbanized area closer to Los Angeles, South County, which includes cities such as Laguna Beach, Mission Viejo, Newport Beach, and San Clemente, is more affluent, mostly white demographically, and consists of the more recently developed areas to the south and east. An exception to general South County traits is Irvine, which is more diverse than its surrounding cities and is a major center of employment. 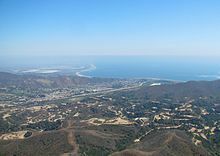 Ventura County is mostly suburban and rural and also has developed primarily through the growth of Los Angeles. The northern part of the county, however, remains largely undeveloped and is mostly within the Los Padres National Forest. Central and southern Ventura County formerly consisted of small towns along the Pacific Coast until the expansion of U.S. Route 101 drew in commuters from the San Fernando Valley. Master-planned cities soon began developing, and the county became increasingly urbanized. The Inland Empire, consisting of San Bernardino and Riverside Counties, contains fast-growing suburbs of the region, with a large to majority percentage of the working population commuting to either Los Angeles or Orange Counties for work. Originally an important center for citrus production, the region became an important industrial area by the early 20th century. The Inland Empire also became a key transportation center following the completion of Route 66, and later Interstate 10. With the post-World War II economic boom leading to rapid development in Los Angeles and Orange Counties, land developers bulldozed acres of agricultural land to build suburbs in order to accommodate the Los Angeles area's expanding population. The development of a regional freeway system facilitated the expansion of suburbs and human migration linking the Inland Empire and rest of Greater Los Angeles. Despite being primarily suburban, the Inland Empire is also home to important warehousing, shipping, logistics and retail industries, centered on the subregion's major cities of Riverside, San Bernardino and Ontario. While the Inland Empire is sometimes defined as the entirety of San Bernardino and Riverside Counties, the eastern undeveloped, desert portions of these counties are not considered to be part of Greater Los Angeles. The state of California defines this area to include the cities of Adelanto, Apple Valley, and Victorville to the north, the Riverside–San Diego county line to the south, and the towns of Anza, Idyllwild, and Lucerne Valley, along with the San Bernardino National Forest to the east. However, with clear northern and southern limits to expansion, the region's urban eastern boundaries have become increasingly nebulous as suburban sprawl continues to spread out to form a unified whole with Los Angeles, with further development encroaching past the San Bernardino and San Jacinto Mountains and into the outlying desert areas. As a result, the regional definition of Greater Los Angeles can now be extended to include Barstow and surrounding towns in the northeast, the Morongo Basin in the east-central including Yucca Valley and Twentynine Palms, and the Coachella Valley cities in the southeast. This interconnectivity, provided by one of the most extensive freeway systems in the world, as well as economic, social and media ties, has blended boundaries between these regions and the urbanized Los Angeles and Inland Empire areas. While the above areas are included in the regional definition of Greater Los Angeles, the U.S. Census Bureau defines Greater Los Angeles, or officially, the Los Angeles-Long Beach Combined Statistical Area, to include both the above-mentioned areas along with the entirety of San Bernardino and Riverside counties. These areas are sparsely developed and are part of the Mojave and Colorado Deserts. To the north, Interstate 15 crosses desolate desert landscape after passing Barstow, linking Greater Los Angeles with Las Vegas, with Baker being the only significant outpost along the route. To the east, lie the Mojave National Preserve and Joshua Tree National Park along with the towns of Needles and Blythe on the California-Arizona border. Greater Los Angeles in yellow and peach; urbanized areas in gray; Los Angeles proper lined in blue; Los Angeles metropolitan area lined in red. 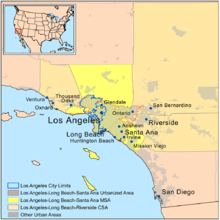 The Los Angeles–Long Beach Combined statistical area (CSA) consists of the entirety of the counties of Los Angeles, Orange, Ventura, San Bernardino, and Riverside, including the sparsely developed eastern portions of the latter two that are not included in the regional definition of Greater Los Angeles. As of the 2010 United States Census, it is home to nearly half of all California residents. The Los Angeles metropolitan area comprises Los Angeles County (2010 population: 9,862,049) and Orange County (2010 population: 3,010,759). It is officially designated by the US Census Bureau as the Los Angeles–Long Beach–Anaheim, CA Metropolitan Statistical Area. The total population for the Los Angeles metropolitan area at the 2010 Census was 12,872,808. In addition to the Los Angeles–Long Beach–Anaheim, CA Metropolitan Statistical Area, the following Metropolitan Statistical Areas are also included in the Los Angeles-Long Beach, CA Combined Statistical Area: Oxnard–Thousand Oaks–Ventura, CA Metropolitan Statistical Area (2010 population: 797,740), within Ventura County, and the Riverside–San Bernardino–Ontario, CA Metropolitan Statistical Area (2010 population: 4,115,871), made up of Riverside County (2010 population: 2,100,516) and San Bernardino County (2010 population: 2,015,355). According to the 2010 census, there were 17,877,006 people residing in the Greater Los Angeles Area. The racial makeup of the area was 54.9% White (39.0% White Non-Hispanic), 12.3% Asian, 0.3% Pacific Islander, 7.0% African American, 0.8% Native American, 20.2% from other races, and 4.5% from two or more races. 44.9% of the population (8.0 million) were Hispanic of any race, including 35.7% of the population (6.4 million) which was of Mexican origin. 31.0% of the population (5.5 million) was foreign born; 18.3% (3.3 million) came from Latin America and 9.8% (1.7 million) from Asia. The explosive growth of the region in the 20th century can be attributed to its favorable Mediterranean climate, the availability of land and many booming industries such as oil, automobile and rubber, motion pictures and aerospace which in turn attracted millions of people from all over the United States and world. Citrus production was important to the region's development in the earlier part of the 20th century. While the New York metropolitan area is presently the most populous metropolitan area in the United States, it has been predicted in the past that Greater Los Angeles will eventually surpass Greater New York in population. Whether this will happen is yet to be seen, but past predictions on this event have been off the mark. A 1966 article in Time predicted Greater Los Angeles would surpass New York by 1975, and that by 1990, would reach close to the 19 million mark. But the article's flawed definition of Greater Los Angeles included San Diego, which is actually its own metropolitan area. A 1989 article in The New York Times predicted Greater Los Angeles would surpass Greater New York by 2010, but the article predicted the population would be 18.3 million in that year, a number Greater New York has already surpassed as of 2007 by half a million people. As of 2009, the New York metropolitan area had a population of 22.2 million compared to the Greater Los Angeles Area's 18.7 million, about a 3.56 million persons difference. Percentage growth, however, has been higher in Greater Los Angeles over the past few decades than in Greater New York. Greater Los Angeles is a politically divided metropolitan area. During the 1970s and 1980s the region leaned toward the Republican Party. Los Angeles County, the most populous of the region, is a Democratic stronghold, although it voted twice for both Richard Nixon (1968 and 1972) and Ronald Reagan (1980 and 1984). Riverside County, San Bernardino County, and Orange County lean toward the Republican Party. Ventura County is politically divided. The Greater Los Angeles Area has the third largest metropolitan economy in the world, behind Greater Tokyo Area and New York Metropolitan Area. A 2010 Greyhill Advisors study indicated that the Los Angeles metropolitan area had a gross metropolitan product of $736 billion. Greater Los Angeles (including the Inland Empire and Ventura County) had a $770.6 billion economy. Greater Los Angeles Area is the home of the US national headquarters of almost all Asian major car manufacturers except Nissan, Toyota, and Subaru (Nissan moved to Tennessee; Toyota moved to Texas; Subaru first located in Philadelphia but moved to New Jersey); Honda, Mazda, Mitsubishi, Suzuki, Hyundai and Kia have set up their national headquarters here. Greater Los Angeles is one of the world's largest patient destinations. The Los Angeles Medical Services provide quality medical services and specialty care services to the populations served in compliance with local, state and federal regulations as well as human rights protection. The Bureau of Economic Analysis (BEA) defines an even larger region known as an "economic area" (EA), which delineates the relevant regional market surrounding a metropolitan area. "BEA's economic areas define the relevant regional markets surrounding metropolitan or micropolitan statistical areas. They consist of one or more economic nodes – metropolitan or micropolitan statistical areas that serve as regional centers of economic activity – and the surrounding counties that are economically related to the nodes." The Los Angeles economic area consists of the Los Angeles–Long Beach Combined Statistical Area and includes the California counties of Imperial, Kern, Orange, Riverside, San Bernardino, San Luis Obispo, Santa Barbara, and Ventura, as well as La Paz County and Yuma County in Arizona. Greater Los Angeles supports large business districts throughout its urban area. The central business district is located at Downtown Los Angeles. Within the Los Angeles city limits are multiple districts, and other than Bunker Hill, these are Century City and businesses lining Wilshire Boulevard. Other major districts nearby Los Angeles include Downtown Long Beach, downtown Glendale, and downtown Burbank. In the southern reaches of Greater Los Angeles, major business districts include Newport Center, South Coast Metro, and the developing business district in Irvine. To the east major business districts include the respective centers of Downtown Riverside and Downtown San Bernardino. Greater Los Angeles is known for its expansive transportation network. Most notable is its extensive highway system. The area is a junction for numerous interstates coming from the north, east, and south and contains the three principal north-south highways in California: Interstate 5, U.S. Route 101, and California State Route 1. The area is also home to several ports, including the twin ports of Long Beach and Los Angeles, which are the two busiest in the United States, as well as Port of Hueneme. Additionally, the region is also served by the Metrorail and Metrolink commuter rail systems that link neighborhoods of Los Angeles with immediate surrounding suburbs and most of the region (excluding the outer region of the Inland Empire) with Oceanside in San Diego County, respectively. Los Angeles International Airport (LAX) is the principal international airport of the region and is among one of the busiest in the world. Other airports include LA/Ontario International Airport (ONT), John Wayne Airport (SNA), Bob Hope Airport (BUR), Long Beach Municipal Airport (LGB), and Palm Springs International Airport (PSP). The Greater Los Angeles area also has three well-known horse racing facilities: Santa Anita Park, Los Alamitos Race Course and the former Hollywood Park Racetrack and three major motorsport venues: Auto Club Speedway, Long Beach street circuit, and Auto Club Raceway at Pomona. In addition, the city of Los Angeles hosted the Summer Olympics in 1932 and 1984. For over twenty years the Los Angeles area media market lacked a National Football League team. After the 1994 season, the Los Angeles Rams moved to St. Louis, Missouri, and the Los Angeles Raiders returned to their original home of Oakland, California, due to the lack of an up-to-date NFL stadium. After numerous stadium proposals between 1995 and 2016 in an attempt to bring the NFL back, the Oakland Raiders, St. Louis Rams, and San Diego Chargers all submitted plans to relocate back to Los Angeles after the 2015 NFL season. On January 12, 2016, the Rams were approved to move to Los Angeles and build Los Angeles Stadium at Hollywood Park with the Chargers or Raiders given the option to join them. On January 12, 2017, the Chargers announced their move to Los Angeles to join the Rams. The Rams temporarily play at the Los Angeles Memorial Coliseum while the Chargers temporarily play at StubHub Center. Both teams will share the new Los Angeles Stadium at Hollywood Park in Inglewood, California, once construction is completed. ^ "Metropolitan and Micropolitan Statistical Areas". United States Census Bureau. Archived from the original on March 9, 2008. Retrieved March 30, 2008. ^ "Revealed: Cities that rule the world". CNN. April 10, 2010. Retrieved October 20, 2011. ^ Haughton, Graham, and Colin Hunter, Sustainable Cities, London: Routledge, 2003: 81. ^ Bruegmann, Robert. Sprawl: A Compact History. University of Chicago Press, Chicago 2005: 65. ^ Abu-Lughod, Janet L. (1999). New York, Chicago, Los Angeles: America's Global Cities. Minneapolis: University of Minnesota Press. ISBN 978-0-8166-3336-4. ^ Gutierrez, David. The Columbia History of Latinos in the United States. New York: Columbia University Press, 2003: 94. ^ Curtiss, Aaron. "Bitter Land-Use Fights Seen For 101 Corridor Development." Los Angeles Times November 20, 1993: B1. ^ Olsen, Andy. "Local Home Prices Soar in May." Los Angeles Times June 23, 2003: B3. ^ Griggs, Gregory. "Local Homes Get Even Pricier." Los Angeles Times August 21, 2003: B1. ^ Gerber, Ross (May 28, 2014). "Playing The Surge In California Real Estate". Forbes. Retrieved July 14, 2014. ^ Hale, David (2003). New York and Los Angeles: Politics, Society, and Culture: A Comparative View. Chicago: University of Chicago Press. pp. 181–183, 185. ISBN 978-0-226-31369-6. ^ Soja, Edward W. (1999). "Taking Los Angeles Apart". Postmodern Geographies:The Reassertion of Space in Critical Social Theory (5th ed.). London: Verso. pp. 224–233. ISBN 978-0-86091-936-0. ^ Wolch, Jennifer R.; Manuel Pastor; Peter Dreier (2004). Up Against the Sprawl: Public Policy and the Making of Southern California. Minneapolis: University of Minnesota Press. ISBN 978-0-8166-4298-4. ^ "Orange County to County Commuting" (PDF). Labor Market Information Division. Archived from the original (PDF) on July 21, 2011. ^ "Riverside County is 'extreme commute' king". North County Times. ^ "U.S. Census Bureau Releases Data on Population Distribution and Change in the U.S. Based on Analysis of 2010 Census Results". U.S. Census Bureau. March 24, 2010. Archived from the original on October 16, 2011. Retrieved September 28, 2011. ^ "The Global Cities Index 2010". Foreign Policy. 2010. Retrieved October 20, 2011. ^ Sharon Bernstein and David Pierson, "L.A. moves toward more N.Y-style downtown Archived October 7, 2008, at the Wayback Machine", Los Angeles Times, August 8, 2007. ^ "San Fernando Valley". Britannica Online Encyclopedia. Retrieved August 31, 2009. ^ "Newsroom: Population: Census Bureau Releases State and County Data Depicting Nation's Population Ahead of 2010 Census". Census.gov. Archived from the original on August 24, 2012. Retrieved August 23, 2012. ^ Mapping L.A. - Los Angeles Times. Projects.latimes.com. Retrieved on July 29, 2013. ^ Petrix, Mark (October 30, 2007). "From two orange trees Sprang an Empire". Inland Valley Daily Bulletin. Archived from the original on March 24, 2008. Retrieved November 15, 2007. ^ Sorba, Michael (October 30, 2007). "Rails reach the Inland Empire". Inland Valley Daily Bulletin. Archived from the original on December 8, 2007. Retrieved November 27, 2007. ^ Rosenblatt, Susannah (November 27, 2006). "'Inland' for sure, 'Empire' maybe: Where's the boundary?". Los Angeles Times. ISSN 0458-3035. Retrieved July 8, 2009. ^ "OMB Bulletin No. 10-02: Update of Statistical Area Definitions and Guidance on Their Uses" (PDF). United States Office of Management and Budget. December 1, 2009. Retrieved August 7, 2012. ^ "Table 1. Annual Estimates of the Population for the United States, Regions, States, and Puerto Rico: April 1, 2000 to July 1, 2009" (CSV). U.S. Census Bureau. December 22, 2009. Retrieved December 24, 2009. ^ a b U.S. Census Bureau – Combined statistical area population and estimated components of change: April 1, 2000 to July 1, 2008 Archived copy at the Library of Congress (June 10, 2010). ^ "Older Suburbs in the Los Angeles Metropolitan Area" (PDF). Local Government Commission. Archived from the original (PDF) on May 28, 2008. ^ Garcia, Matt (2001). A World of its Own: Race, Labor, and Citrus in the Making of Greater Los Angeles, 1900–1970 (2nd ed.). Chapel Hill, North Carolina: University of North Carolina Press. ISBN 978-0-8078-2658-4. ^ "Magnet in the West". Time. September 2, 1966. Retrieved April 24, 2008. Greater Los Angeles is already the second-most-populous metropolis in the U.S., is almost sure to surpass New York by 1975. Last week alone, some 5,000 people moved into the area. By 1990, such growth will make the city the hub of an uninterrupted urbanized stretch of almost 19 million inhabitants occupying the 175-mile-long, coastal area that runs from Santa Barbara in the north to San Diego in the south. ^ Reinhold, Robert (August 28, 1989). "No Headline". The New York Times. Retrieved April 24, 2008. [A]nd the region's population will surpass New York's, reaching 18.3 million in 2010 . ^ "Neighborhoods". Mapping L.A. Los Angeles Times. ^ Gross Metropolitan Product - Greyhill Advisors. Greyhill.com. Retrieved on July 29, 2013. ^ White, Ronald D. (August 7, 2011). "Long Beach port chief's long voyage nears an end". Los Angeles Times. Retrieved June 15, 2012. ^ "L.A. council approves framework to build NFL stadium". CBSSports.com. August 9, 2011. Retrieved August 11, 2011. ^ "Industry Council Approves Pro Football Stadium". nbcla.com. KNBC. July 17, 2009. Retrieved August 11, 2011. ^ Adams, John (October 22, 2009). "Los Angeles, Are You Ready For Some NFL Football?". nbcla.com. KNBC. Retrieved August 11, 2011. ^ Zahniser, David & Farmer, Sam (August 10, 2011). "Next challenge for Farmers Field: Finding an NFL team for L.A." L.A. Now. Los Angeles Times. Retrieved January 13, 2016.